As our Retirement Plan Specialist, Bryan must be able to explain the complicated nature of investment, compensation and retirement packages to employees in a clear, concise fashion. He is responsible for filing and processing retirement plans in accordance with federal and company regulations. He frequently manages electronic databases and works with complex spreadsheets. Employee benefits plans have many options, so he must work with employees to design a plan that works best for their future plans. Bryan joined our team in 2010. Prior to being with our firm, Bryan spent 12 years working at a TPA shop as a qualified retirement 401(k) administrator. Bryan holds a dual degree in Finance and Economics from Canisius College. He holds the Qualified 401(k) Administrator (QKA) credentials from the American Society of Pension Professionals (ASPPA) and AIF credentials via Fi360. He also has his Series 6,7, and 63 licenses, and was elected to VOYA’s advisory board. 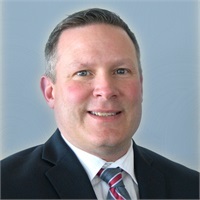 Bryan is a member of ASPPA - American Society of Pension Professionals & Actuaries, the Commissioner of Rush Henrietta Travel Soccer Board, and part of the Rochester Women Network. He is married to Vanessa who was born in West Virginia and is a huge West Virginia University football and basketball fan. They currently live in Henrietta NY. We have 2 dogs: Lucy (Beagle) and Otis a 2 year old Bernese Mountain Dog. Bryan grew up in Webster NY, lived in Buffalo for 6 years before moving back to Rochester. He is immensely proud of his two step-children: Alex (16) & Miah (13). Both children are constantly on the high honor roll. Most of Bryan's family time is spent on soccer field as both children play for Rush Henrietta school system and multiple Travel Soccer. Bryan coaches both Division 1 Rush Henrietta soccer teams. Alex plays for Rush Henrietta travel and RFC as Miah plays with Rush Henrietta Travel and Wagner Soccer. They also love to travel annually to Topsail Beach Island in North Carolina where the whole family (including the fur animal family members) meet up with their family from Florida, including his mom, sister, and nephews.